Make sure you've removed the battery tab if it's the first time you're installing the scale. Make sure you're using alkaline, non-rechargeable batteries. Make sure the metallic contacts of the battery compartment are touching the batteries and that they are not dirty or corroded. If they are, you can clean them with a cotton swab and some rubbing alcohol. Make sure the batteries work properly. You can try using new batteries to see if that's where the issue comes from. If you get a Network refused error, make sure you're using a 802.11b/g network and that there is no mac address filter on your router. If you get a Device busy error or if the Continue button is grayed out during the installation, try using another USB to mini USB cable. You can also try connecting the cable to another computer. Make sure you have access to the internet on your mobile device. Make sure that you keep the app open during the installation process. Make sure that the screen of your mobile device stays on during the installation process. 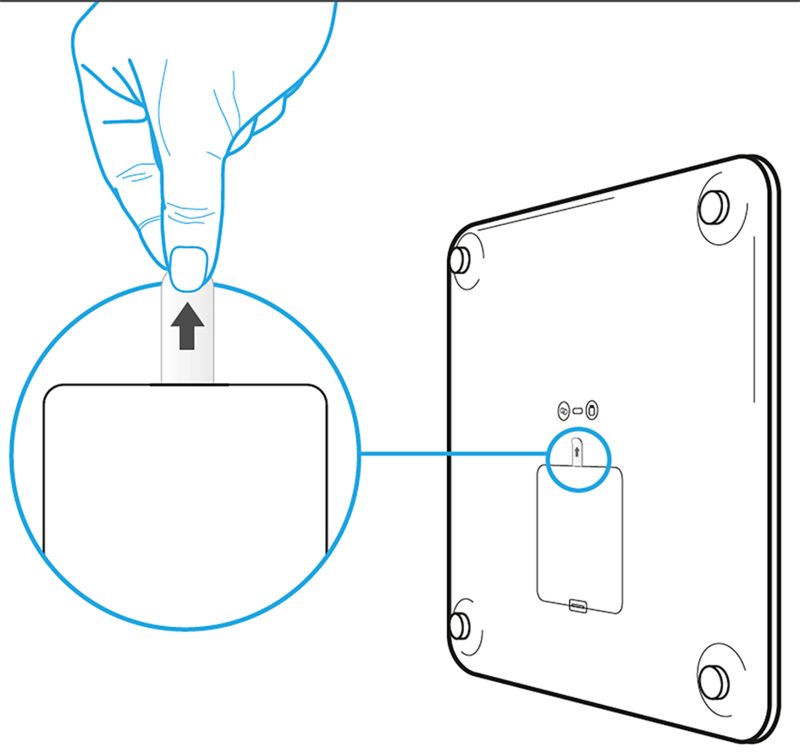 Keep your scale close to your mobile device during the installation process. Wi-Fi Body Scale (WBS01) - I have lost the USB cord of my Wi-Fi Body Scale. What should I do?